With 6 eyelets, the 101 sits lower on the ankle but is still an instantly recognisable Dr Martens silhouette. The Dr Martens 101 unisex boot is crafted from Vintage leather in Butterscotch brown, a retro version of Dr Martens' classic, highly durable leather with a soft sheen. This boot features everything you would expect from a British Icon including Dr Martens famous air-cushioned sole, goodyear welt with yellow z welt stitch and the Airwair pull on loop. 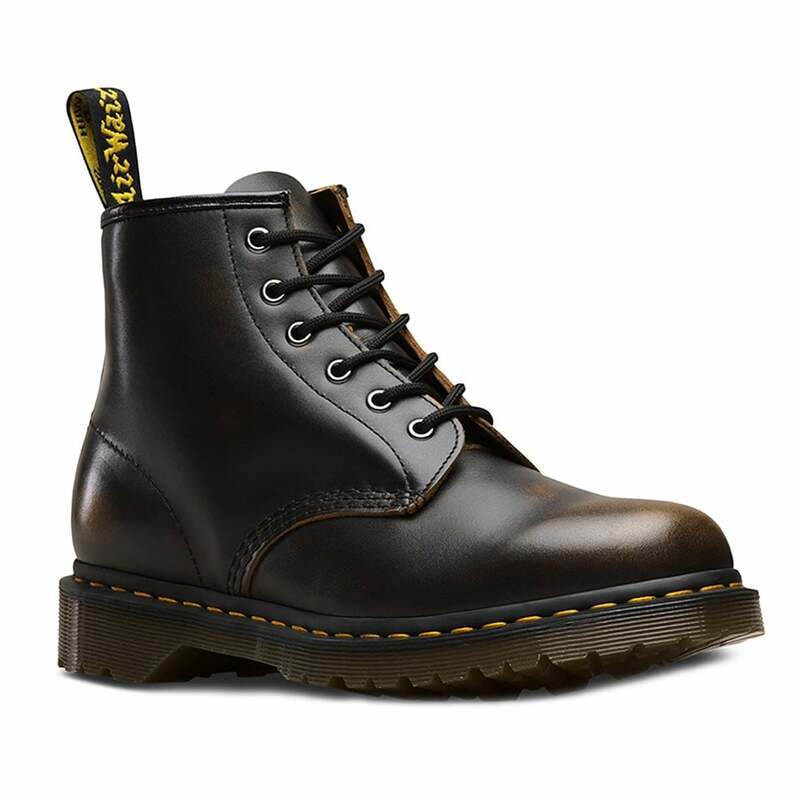 Get your pair of Dr Martens 101 Unisex 6-Eyelet Leather Boots at Scorpio Shoes today!